Playing to a packed house at the 7th Annual Duck Jazz Festival. Here on the Outer Banks we’re wrapping up what looks like the best October we’ve ever had. All the numbers aren’t in yet, but early indications are this was an exceptional month.There has been an intense effort to increase shoulder season visitation, and it looks as though it may finally be paying off. 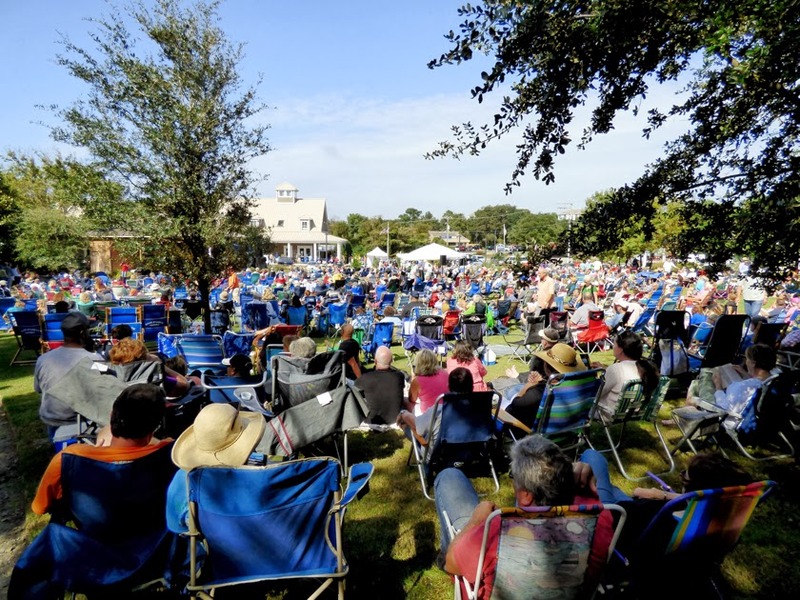 Even as recently as 10 years ago, September and October were at best blips on the off season radar, but with multiple music festivals and the Seafood Fest grouped together in the first three weeks of October, the result has been a noticeable increase in business.It is not just the festivals and music industry that has created the fall extension of the summer season. The first group to understand how important the shoulder season could be was the Outer Banks wedding professionals. At the core of their message is the beauty of the Outer Banks, but without a coordinated marketing effort the word would never have gotten out. There is shared credit in this–groups and individuals had the vision and courage to pursue that vision stand out as pioneers. But equally important has been the Outer Banks Visitors Bureau that has provided marketing expertise and advice as well as funding for a message that brought people here. To begin with, it certainly means we’re having a great time on the Outer Banks. The Bluegrass Festival, Mustang Music Festival and Duck Jazz Festival were amazing. Great music, wonderful crowd participation . . . everything that anyone could want from a day or weekend of music. The Outer Banks Seafood Fest was better than last year’s inaugural event which exceeded all expectations. For our Brindley Beach property owners, this represents a growing opportunity. The continuing success of the Outer Banks wedding industry is an extraordinary opportunity for our homeowners–a chance to reach a customer who may not have experienced the Outer Banks before. A good first time experience almost guarantees a repeat visitor. For our homeowners who have chosen to participate in our Partial Week Rental program, the growing popularity of weekend festivals is an emerging market that needs to be acknowledged . . . and studied. Although the festivals have been very successful, the actual number of visitors attending does not seem large enough yet to impact our rental programs. Nonetheless, it is a market that offers revenue possibilities when full week rentals are not available. There is another side to this story as well–a cautionary note that we have raised before: as the seasons extend, the time available to do the maintenance and upkeep necessary to remain competitive in a very competitive Outer Banks market becomes compressed. Keep that in mind when planning 2014 improvements to your property.